Ah, January. What a month it's been. I've had some real highs and lows these past few weeks. I'm glad to have survived January mostly intact. 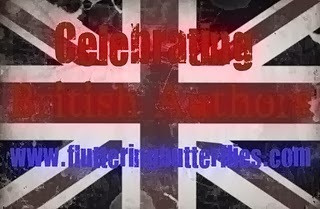 It's been lovely going to publishing events and meeting up with other lovely bookish people. But my personal life has been all up in the air and I'm finding it difficult to maintain my blogging/booktubing/twitter schedules. So you'll forgive me, I'm sure, if things are a little sparse around here in future. 2014 started off really well... I was reading great books and really loving reading. And then things started going wrong for me personally and within my family and I ended up on this New Adult kick that I should have abandoned and didn't. That last book though: it cured me of my NA compulsion. Before that though, I did read three five star books and a bunch of 4 stars reads too. I've been reading a lot on my Kindle and it's been nice to start the year with some no pressure free reading! Ooh, no question about it. 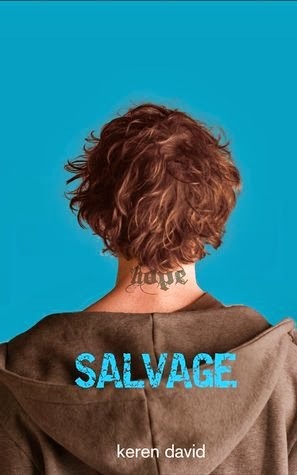 I absolutely loved Salvage by Keren David from the first page right to the last. I thought the characters and their relationships were all wonderfully written and it was a really interesting story of a brother and sister who had grown up apart and how much had changed with their different circumstances. I don't want to put any pressure on myself with reading challenges this year ... but I also really want to read to as many books by British authors at the same time. Tough one. Still, 4 books this month isn't bad. Feels like a good start to the year. Again this year, I'm hoping to cut down on my TBR pile by reading some of my own books. So while I mostly read non-review books in January, 98% of the books I read this month have been e-books. Which I'm not counting for this personal challenge. Good start to the year, Michelle, well done! Wow, Clover! So many books read in one month! Such a fast reader! Thanks, Jesse! Yes, wasn't Salvage amazing? And gosh, I keep hearing about Salvage. I'll have to pick it up soon. 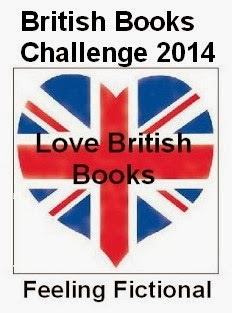 Totally in awe that you can read so many books in a month, blog and be a mum too! It's because I don't have a job, Emma :( I need one desperately. Would love to read fewer books a month if it meant that I was in paid employment...!